Iceland Day Tours – Reykjavik – The Great Canadian Travel Co.
We know everyone is interested in different tours when planning their trip to the island. Take it from us, this sampling highlights only a few of the most popular day trips you can choose from, departing from a variety of places. But, there are many more excellent options. Just ask! Most pricing is shown per person in ISK (Icelandic Kronur) and will be converted to CA$ or US$ at the time of your reservation. Prices are based on seasonality and are subject to change by the tour operators without notice. Entry fees may apply that are not included in the rates. Lava Tour: Ride one of the friendly Icelandic horses through lava fields. Riding time 1.5-2 hours. Available year round including transfers from Reykjavik. Horses, Gullfoss and Geysir: This tour gives you a taste of it all. Join a ride through lava fields and across beautiful hillsides, followed by a visit to Gullfoss waterfall and the geyser area. Riding time 1.5-2 hours. Operates year round and includes transfers from Reykjavik and a picnic lunch. Riding to the Blue Lagoon: Your ride follows smooth riding tracks through bushy hills and moss covered lava fields. See the variation in the lava fields depending on their age and enjoy the different shapes of the lava. After a ride of 1.5-2 hours we drive to the fabulous Blue Lagoon where you can choose to swim in the mineral rich water, enjoy a massage or just relax and enjoy the facilities. Entry fee to the Blue Lagoon is not included and must be booked in advance if you want to swim or use the spa facilities. Viking Tour: Do you want to test the strength of the Icelandic horse? Are you an experienced rider? Then this longer riding tour is perfect for you! We ride for about 4.5-5 hours on excellent riding paths across stunning lava fields, crossing Kaldá River, around Mt. Helgafell or into Heiðmörk Nature Park. Our Viking Tour starts with an introductory ride in the morning. After lunch at the Riding Centre we head out again and try the different gaits of the Icelandic horse. 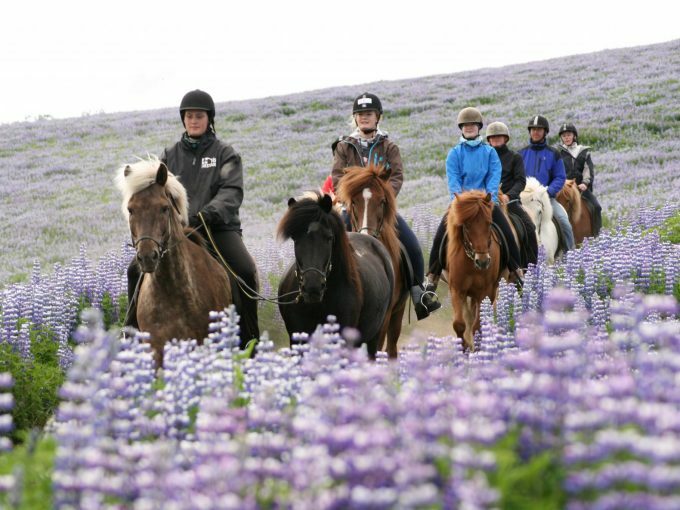 Be prepared to ride trot, tölt or a short canter and really experience the versatility of the Icelandic horse. Flybus Transfers: Coach transfer service between Keflavik Airport and downtown. Drop off to Reykjavik accommodation via the BSI bus terminal. Choose your hotel for drop off and pick up on your return. Note: during the summer months, May to September, some downtown streets are closed to vehicle traffic and delivery and pick up will be at designated bus stops. Relaxing Blue Lagoon: You board the Reykjavik Excursions bus outside of the arrivals hall at Keflavik Airport or be picked up from your hotel or designated bus stop. Safe luggage storage is available in lockers at the Blue Lagoon (pay locally) while you are enjoying your time at the spa. Bathing suits and towels are available for rent if you forgot to pack your own. 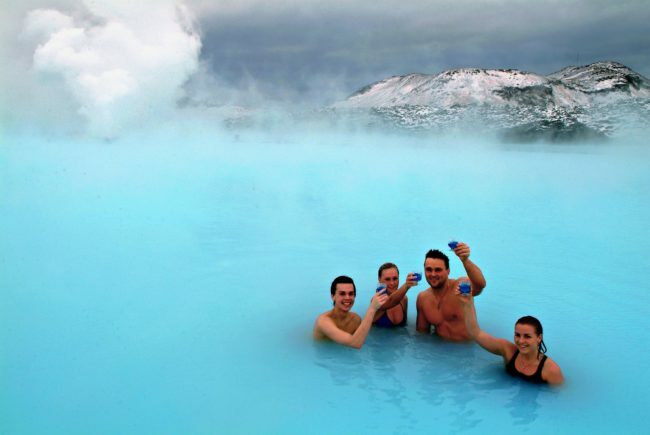 After having enjoyed all that The Blue Lagoon has to offer you can return to Keflavik or Reykjavik. You may also take this tour on your day of departure from Iceland if on an afternoon flight. Blue Lagoon Comfort Experience includes transportation, entrance, use of towel, 1st drink of your choice, Silica Mud Mask. Premium Experience also includes second mask, use of slippers and bathrobe, table reservation at LAVA Restaurant and sparkling wine (if dining). Classic Reykjavik City Tour: Explore one of our favourite cities on this half day tour available morning or afternoon. This guided tour gives you the highlights of Iceland´s capital city in just three hours. We visit Hallgrímskirkja church; The Pearl with its fabulous viewing deck; Reykjavík City Hall; and pass by Höfði House where Reagan and Gorbachev met in 1986 to begin the process of ending the Cold War. We also drive through the city centre, the harbour area, the University campus, past the Elliðaár river, and through Laugardalur valley. Our expert guide provides all the essential information regarding Reykjavík´s rich culture, history and natural environment. Whale Watching: View these amazing mammals in their natural habitat. Chances of seeing Harbor Porpoise, Minke, White Beaked Dolphins, and Humpback Whales. 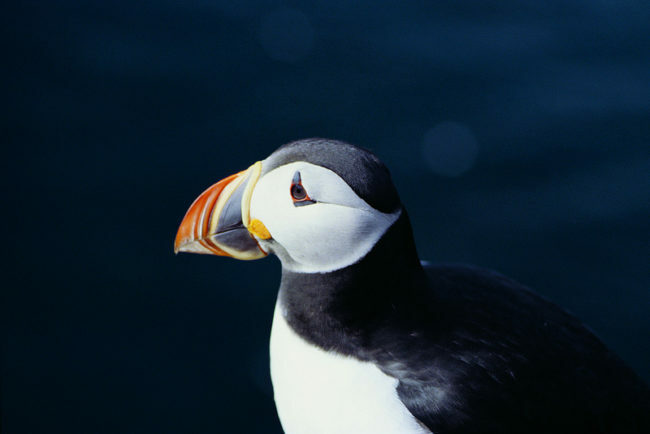 Puffin Express: A one hour tour to see the most romantic birds in Iceland, and we will get you extra close! Golden Circle: The most popular tour in Iceland! Visit three top attractions – Thingvellir National Park, Gullfoss waterfall and the Geysir area. Thingvellir is the site of Iceland’s original, open air parliament, founded in 918 AD and also the area where the Eurasian and North American tectonic plates are pulling apart slowly. Gullfoss is the queen of Icelandic waterfalls and an impressive site – high and mighty, it tumbles violently into a deep gorge. The geysir area is a geothermal wonder and Strokkur, one of the largest geysirs, erupts almost every 10 minutes. Add-on snowmobiling on Langjökull, Iceland’s second largest glacier. Shared snowmobile – Adult ISK18,900 / Child ISK9,450 – based on 2 people sharing // Solo rider: ISK24,900 – age restriction may apply for solo riders. Inside the Volcano: Descend 120 meters/400 feet into a dormant volcano that erupted 4,000 years ago. The dormant Thrihnukagigur volcano (good luck trying to pronounce it) is a unique natural phenomenon. By setting up the necessary gear and equipment, the operator has created a tour that opens the door to a new world. A moderate level of fitness is required for this tour, as access to the site requires a 45-50 minute walk each way over rocky terrain. Operates 15 May-30 September. South Coast and Jokulsarlon Glacial Lagoon: Tour the south shore then explore the lagoon by boat. Travel by 4WD following the picturesque southern coastline passing the villages of Selfoss, Vik and Kirkjubæjarklaustur as well as the stunning waterfall at Skógafoss and Skaftafell National Park. Continue through the vast desert of Skeiðarársandur, an area which can be prone to sand storms. Many of Iceland’s biggest glacial rivers run into the Atlantic Ocean on the south shore. Each year they carry millions of tons of black volcanic sand, constantly altering the shape of the coastline and creating vast black deserts. Just before reaching the lagoon, pass Öræfajökull glacier, home to the island’s highest peak, Hvannadalshnjúkur. 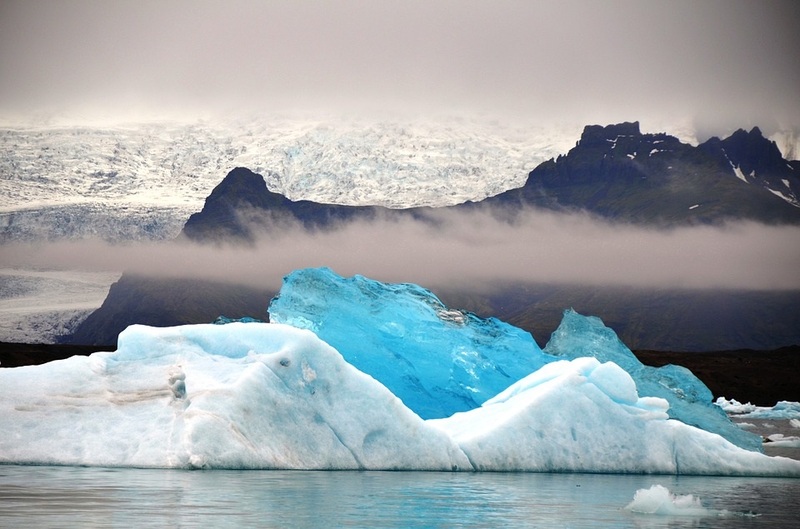 Jökulsárlón is a stunning glacial lagoon that is constantly forming as the massive tongue of the glacier retreats. Icebergs of all shapes, sizes and in many hues of blue, turquoise and white, break off from the glacier; just waiting to be captured on film. South Shore Adventure: This tour is ideal for nature lovers of all kinds. You will have an opportunity to stand behind the plummeting Seljalandsfoss waterfall, walk up to the Skógarfoss waterfall and gaze at the formations. Travel along the South coast of Iceland as far as Vík í Mýrdal, a small, charming village surrounded by beautiful high bird cliffs. Glacier Hike and Ice Climbing on Solheimajokull: On this fun, safe and easy to moderate glacier walk you get to explore the wonderland of ice sculptures, water cauldrons, ridges and deep crevasses on the breathtaking Sólheimajökull glacier. Includes transportation from your hotel to the glacier and return. From the Solheimajokull parking lot – There is a 30-40 min walk from the parking lot to the glacier. Snaefelsness Peninsula: Explore the stunning scenery and landscapes of the Snaefelsness Peninsula, a “must see” for nature lovers. 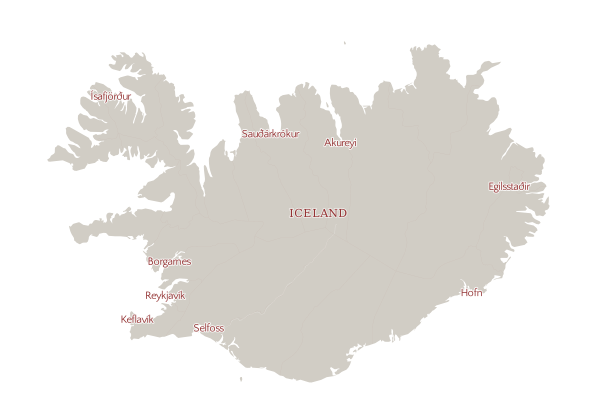 The Snæfellsnes peninsula in the west of Iceland is almost like a miniature version of the whole country. You’ll see the emblematic Snæfellsjökull glacier, white and black sand beaches, bird cliffs, spectacular mountains and volcanic craters, incredibly rich trout lakes and salmon rivers, lush valleys, and unique harbours in charming fishing villages. The stunning landscapes of the peninsula have captured the imagination of people all over the world ever since Jules Verne wrote the famous science fiction novel “Journey to the Centre of the Earth” in which the amazing Snæfellsjökull glacier is where the journey begins. Recently Ben Stiller filmed parts of his critically acclaimed blockbuster “The Secret Life of Walter Mitty” here, notably in the charming village of Stykkishólmur. Enjoy a beautiful landscape from a totally different angle! Glacier river rafting on the Hvita River (pronounced kveetow). Cross the Arctic Circle to Grimsey Island. Grímsey Island is bisected by the Arctic Circle and lies about 40 km away from the mainland. It is surrounded by stunning cliffs from where it slopes gently southward to green fields and pastureland. All around the island are bird cliffs where a multitude of sea birds nest. All in all about sixty species of birds can be found on this fascinating island. Close to Basar farm on the island’s northern half, a signpost at 66 degrees and 33 minutes north marks the Arctic Circle. Travellers can get a certificate from the local authorities to show that they have crossed the Circle. 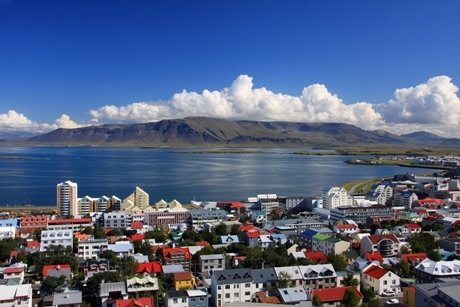 This tour departs from either Akureyri or Reykjavik. Classic Iceland 4×4 tour to Kaldidalur, Langjokull Glacier. Enjoy an amazing tour through a landscape of extreme contrasts, full of history and geology. Our day begins in Þingvellir National Park, the site of the ancient Viking parliament dating back to the 10th century. From there we head into the highlands, through the barren mountain pass of Kaldidalur to the Langjökull for an unforgettable discovery of this enormous glacier. The lava field of Hallmundarhraun is our next destination where you will explore one of Iceland’s biggest and most spectacular lava caves. After caving we visit the unusual waterfalls of Hraunfossar and Barnafoss and take a look at one of the world’s largest hot springs before returning to Reykjavík. In winter and spring we might have to alter the itinerary due to road conditions. This guided tour lets you explore the hidden underground system of lava caves. You will be equipped with lights and caving gear in order to enjoy the display of colours, shapes and textures while the guide informs you about the cave and tells stories of trolls, elves and outlaws. The caves were untouched for thousands of years and offer a unique experience. Lava tube caving is the exploration of a tube-like caves hidden right under our feet in the vast fields of ancient lava that covers much of Iceland. You will get to experience moments of profound serenity in an alien environment on this adventurous tour. This tour requires some crawling and walking on uneven ground, but it is otherwise an easy activity that families can do together. Be sure to bring good walking or hiking shoes and gloves. Hiking day tour to the hot springs outside Reykjavík in Mt. Hengill and Reykjadalur Valley in Iceland. This easy hiking tour starts with a pick up from your hotel in Reykjavik and a drive out into the countryside. Starting from the outskirts of Hveragerði, the town of hot springs and flowers, it leads into the beautiful geothermal valley of Reykjadalur. In the “Steamvalley” naturally hot water flows down of the slopes of Hellisheiði mountain range, creating the ideal place to bathe in an naturally hot river. The valley also has an amazing abundance of geothermal hot springs and you will witness everything from small gurgling melting pots to vibrant super heated pools of water. After exploring these wonders of nature we hike back down into the town of Hveragerði. This is a great 7 km, half-day trek that everyone can participate in. A unique chance to experience the local way of visiting the hot springs for a bath. A great highland tour to one of the largest geothermal areas in Iceland. This is a unique and unforgettable tour through some of the most rugged terrain in the southern highlands of Iceland. We start by heading to the foot of Hekla where the landscape has been shaped by centuries of volcanic activity. In our jeep we climb as high as 1000 m (3280’) above sea level to enjoy fascinating views over the Fjallabak Nature Reserve and some of Iceland’s magnificent glaciers, although visibility is weather permitting. Now we are in one of the largest geothermal areas in Iceland where fire and ice shape the landscape. We continue to Landmannalaugar where a short hike to enjoy the colourful landscape and a warm bath in a natural pool is optional before heading back to Reykjavík. This is a land of unreal beauty with an amazing range of colours, steaming hot springs, glacier ice and explosive craters. Thorsmork Glacier Valley is a natural oasis that lies just behind the now famous Eyjafjallajökull volcano. The recent eruptions have altered the appearance of the landscape but at the same time created a unique opportunity to witness how the elements of ice and fire constantly shape and reshape the surface of our planet. Only accessible by 4×4 vehicles, a tour into Thorsmork is truly an experience of nature. Our destination is Þórsmörk, a natural paradise, named after the mighty pagan God Thor. To get into the land behind the glaciers we have to drive on a 4×4 track, over numerous un-bridged glacial rivers some of which can be quite deep and with strong currents. On our way we will pass right by the Eyjafjallajökull volcano that recently erupted, blowing ash high into the sky and over the closest area. Even if in some places ash has altered the appearance of the landscape, Þórsmörk is always a magical place to visit. 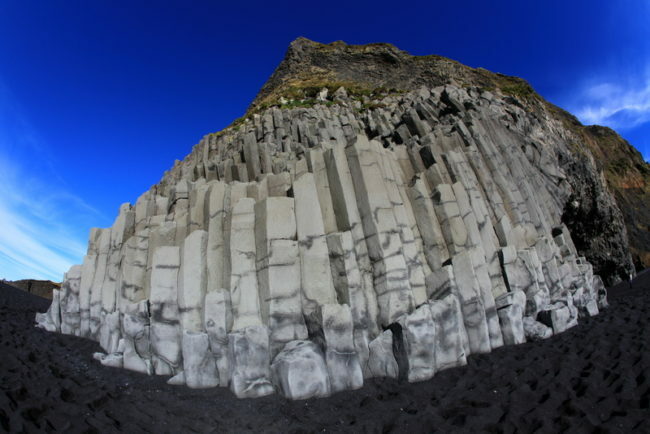 It is a valley, full of geological wonders and unique vistas that Icelandic nature lovers have enjoyed for centuries. On the way back spectacular Seljalandsfoss waterfall awaits us cascading down from the cliffs´ edge in its unique way. This is a tour into a unique area recently touched by the powers of Mother Nature. This Super Jeep tour takes you far away from the stress of Reykjavik to some areas less travelled where you will see scolding hot springs, go into the ice cave and even drive across a fjord through a tunnel under the sea! Includes the entry fee to the Ice Cave. On request for minimum 4 people. Steaming lava and Iceland‘s youngest craters. An exciting day tour that takes you to the area of the recent eruption that made headlines all over the world. Our destination is the Fimmvörðuháls pass and the craters Magni and Móði (1100m) that erupted during the first phase of the eruption. Just east of the world famous Mt. Eyjafjallajökull volcano we turn onto a mountain track leading up the Fimmvörðuháls pass. Leaving our vehicles behind at 800m altitude we gear up for a 3 hour long hike to the craters where the fresh lava is still steaming and glowing under the surface. While exploring the craters and these new grounds you will get a sense of the forces of nature that were at work. A breathtaking view over the Þórsmörk valley and the glaciers descending from the Mýrdalsjökull ice cap are also ours to enjoy. On the way back you admire the picturesque waterfalls Skógafoss and Seljalandsfoss where the brave ones can venture behind the waterfall as it falls off its cliff! This Northern Lights tour in Iceland takes you in a super Jeep out of town, far from the city lights to observe this fascinating natural phenomenon also known as Aurora Borealis. Given clear skies and a little bit of luck, sightings can occur from autumn through to spring. Daily mid-September to mid-April, pick up from hotels at 7:45pm. An unforgettable evening out under the magical winter sky. You will be whisked out of Reykjavik in search of a night sky that is free of city lights in order to enhance the beauty of the Aurora Borealis as this spectacular natural phenomenon is best enjoyed well away from any light source. Before continuing our search for the wonders of the night sky, we will head down to the black sandy beaches of the south for some Icelandic delicacies. The road takes us to one of Iceland’s most renowned seafood restaurants for an unforgettable lobster feast. Once our taste buds have been entertained, the search for those mysterious lights of the winter sky will then continue all the way back to Reykjavík. An amazing way to hunt for the northern lights. A once-in-a-lifetime experience as you learn about the myths and scientific phenomena of the lights! Tell us what you are interested in and we can match up the tours that best suit your needs. We offer tours starting in Reykjavik or Akureyri, or if you’re on a self-drive, in numerous places along the way. There are coach tours, tours by 4X4 vehicles, boat tours and horseback riding. Ask us for more suggestions and we’d be happy to offer you tours that fit your interests. Day tours do sell out well in advance during certain times of the year, depending on the type of tour and size of group. Avoid disappointment and book ahead!